Our dedicated Community and Care sector Support Team will personally manage your initial enquiry right through to delivery ensuring you get the right minibus for your needs. We can supply & fit your corporate branding and offer free UK delivery of the minibus to your premises. We have access to all the latest information to ensure your new vehicle will conform with current care sector legislation and any manufacturer demands and have both wheelchair accessible and conventional Minibuses available. So whether your vehicle needs that bespoke conversion or simply `off the shelf` and ready to go, we have the minibus for you. 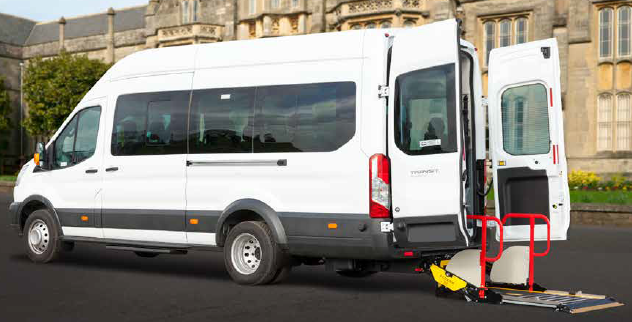 Throughout the process, whether minibus leasing or outright purchase, we will act as your Minibus Fleet Manager. We can help with advice on health and safety issues, driving licence requirements or training, and various permit requirements too. Our fleet management includes monitoring annual MOT and mileage checks, safety checks where required for any weekly inspection programs, testing for any additional fitted equipment, together with normal servicing/maintenance assistance. We also have an Accident management and Fuel card service available. With our qualified drivers that provide a professional handover we ensure complete customer satisfaction. Plus we don’t charge any admin fees!